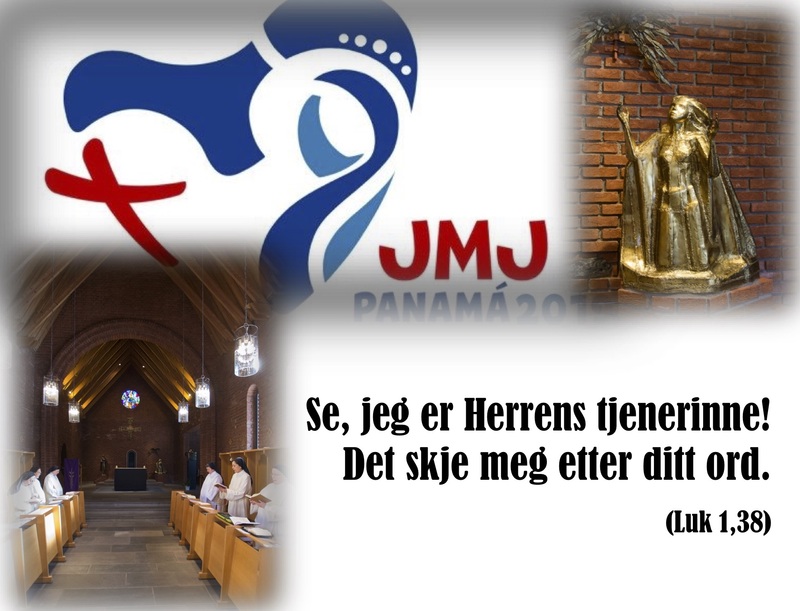 Søstrene i Lunden Maria Bebudelseskloster følger pilgrimmene på Verdensungdomsdager i Panama i bønn! You call us to live our lives as a way of salvation. and to build the future with hope. thank you for looking upon us with love. with the strength and light of the Holy Spirit. and a youthful face to communicate the joy of the Gospel. one where there is fairness and fellowship. and for those who are preparing to welcome them. “I am the servant of the Lord. May it be done to me according to your word” (Lk 1:38).